Siesta Isles dream home on 179 feet of waterfront within minutes to the Grand Canal at Siesta Key. A completely renovated and re-design transformed this former ranch into the ideal island lifestyle home complete with its own hammock by the water. This home shows an exemplary illustration of thoughtful design and decorator touches throughout with expansive rear views of the canal and surrounding lush tropical foliage on an over 16,000-square-foot lot. A generous entry and foyer embrace you as the water views grab your attention right away. The split plan offers four bedrooms, three baths, living and family room space with a lovely and efficient kitchen with the finest of finishes, tall wood cabinetry, stainless steel appliances, designer lighting and more. The exterior was tastefully redesigned and is embraced by the cul-de-sac location, side-entrance garage and circular drive. The paver driveway, and extensive covered, screened and open paver lanai area meets all your entertaining and relaxing needs. Take a dip in the oversized heated pristine pool or separate spa and Jacuzzi, or take in the gorgeous sunsets while relaxing by the dock or gazebo. This is a rare opportunity to own this much waterfront footage while being a short bike to world renowned Siesta Key Beach and Village. 2014 Bennington Boat included in sale if wanted. Truly a must see! 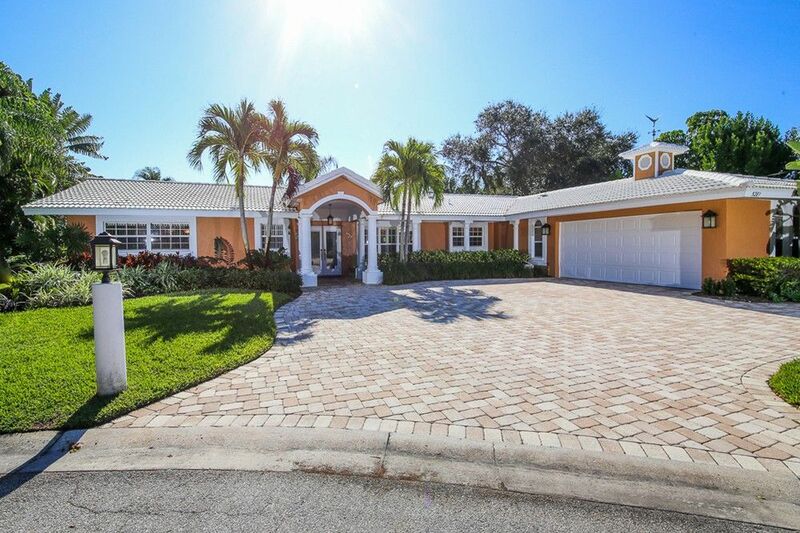 Live the Florida dream and make your offer now! Driving Directions: Beach Road across from the public beach to Avenida del Mare, turn right on to Canal Road, left on Cape Leyte Dr., right on Cape Leyte Way. House is on right.